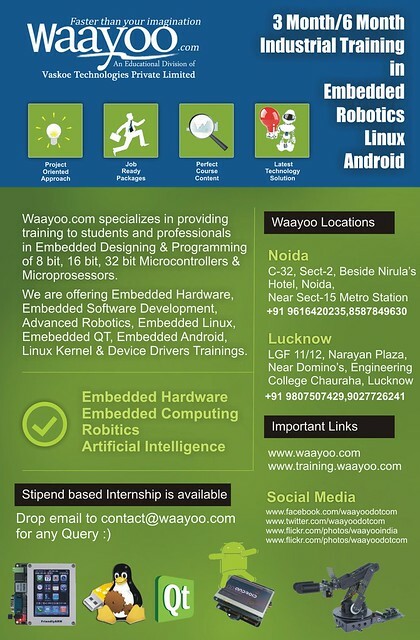 Waayoo Internship & Industrial Training Program 2014 presents Scholarship Test on Dec 20th, 2014 for Internship and scholarship in Advanced Robotics, Advanced Embedded Design, Embedded Linux, Android Development, Artificial Intelligence, Image Processing and Internet Marketing. Just send an email to internship@waayoo.com with following information. Latest C.V. with detailed information about projects/work done by you. 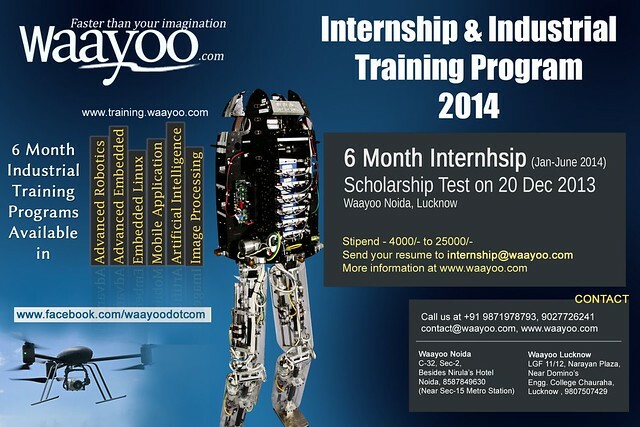 Waayoo Industrial Training Programs starts from December to Feburary and runs for a period of 4-6 months. Industrial Training packages are specially designed Job oriented packages.